Emily Oakely (farmer) continues with the hydroponic discussion: Stakeholders on all ends of the spectrum do not want us to delay a decision on this because we will create more conflict within the community. In the fall, we need to put forward a proposal on what we can agree on. The farmers are on the farm and not present at this meeting, so I feel the weight of representing the perhaps 75% of organic farmers that are small scale. Many people come to farming because it is both a business and a cause. Organics was a hippy back to the land movement, and now it encompasses a wide spectrum. I’m under no illusion that the organic food at the grocery store comes from a five acre farm, but I want to see the standard applied equally to all stakeholders. My expectation is that the soil will provide the fertility. Outside sources are provided on an as needed basis. I can’t imagine a soil system where an input is required for the survival of the crop. Ashley Swaffar (farmer – designation protested by Cornucopia): I can’t vote on a hydroponic proposal without a container proposal too. If we move forward on any definition, I need to feel like containers are safe. 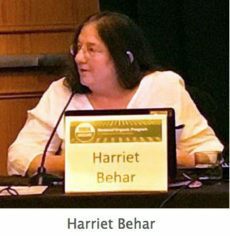 Harriet Behar (environmentalist): Organic is not input substitution. It is a whole system. It is about the environment, healthy food, a type of agriculture that offers hope for fixing the problems that we already have for seven generations and beyond. I was an organic inspector for 20 years. When I ask farmers initially why they went from conventional farming to organic, they say a family member has cancer. When I went back a few years later, there was more to it. They saw biodiversity on the farm, they saw a healthier herd. The farmers don’t want to go back to conventional production, even if they lose the higher price. Dave Mortensen (scientist): There’s a credibility problem in science today. While scientists are incredibly objective about their methods, they are subjective about the questions that they ask. Very few people ask why are we asking these questions and not others. As a group we need to be asking the right questions. In my view as an agroecologist and ecotoxicologist, what’s the ecological footprint of the practices? How resilient are the systems? What are the ecoservice implications? I understand food deserts. I understand different communities and points of view. We must create space for conversation and that means together, face-to-face. We need to get out and see these operations. 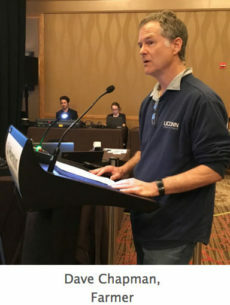 Ashley Swaffar: “I would like to see another discussion on this and, at the earliest, a vote on this next spring.” I really would like to see a container discussion document come forward and be voted on at the same time as the vote on definitions. 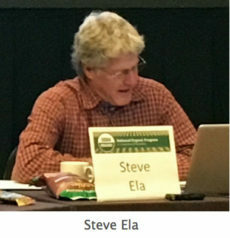 Steve Ela (farmer): I take literally that the producer must improve soil, water and natural resources. We need to move beyond the biology – biology happens everywhere. We need multiple trophic levels. Do we have nematodes, fungi, and mammals, as well as bacteria? An organic system should sustain itself with less human input, not more human input. If you remove everything but water, how long will that system maintain itself? I’ve grown for 15 years, and I understand the older I get the less I know. I try to keep my hands off of the system unless there is something catastrophic – for me that would be codling moth. We need to foster natural systems as much as possible. I fall on the side of human hubris. I don’t think we can reliably engineer a natural system. 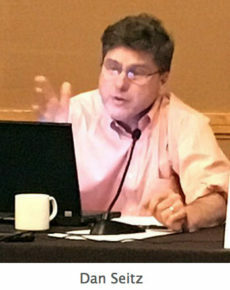 Dan Seitz (consumer): As a consumer representative on the board, consumers are schizophrenic. They want cheap food, nutritious food, year-round food. So it is going to be difficult to base this decision on them. This issue gets at the heart of two basic conflicting paradigms: the mechanistic paradigm where humans have the capacity to improve the human condition indefinitely; and the natural paradigm where we should mimic natural systems with minimal influence. Ian Justus, representing Driscoll’s: We need to clarify definitions. No one knows what percent of fertility comes from liquid nutrients. In response to a question from NOSB member Francis Thicke (environmental), Justus says Driscoll’s only grows the nursery plants but they have individual growers that all have different practices. Everyone is using blends of fertility from the National List. 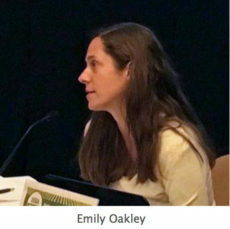 Emily Oakley (farmer) asks if they can use 50% compost in the containers. Justus responds that you need to have a better definition of compost. We need to separate soil from fertility. But 50% is too high for our growers for a compost that supplies fertility. We want to distribute the fertility. Most of the fertility is needed later in life. 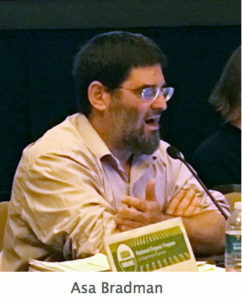 David Ferman of Coalition for Sustainable Organics and Marketing Director of NS Brands – produce organic hydroponic container tomatoes in Arizona. Consumers believe organic is about healthier products for them and their families, not improving the condition of the soil, he said. Jason Kamimoto of Rocket Farms: We use peat moss and turkey fertilizer pellets to grow in containers. We meet the Canadian organic container standards that require minimum soil volumes and limit liquid nutrients. Michael Hasey of The Farming Fish: We grow in the ground, and aquaponically. It is all a very sustainable system that recycles nutrients and should be considered organic. Sam Welsch, owner of the certification agency One Cert: Federal law, specifically OFPA 6513, requires that an organic plan shall contain provisions designed to foster soil fertility, primarily through the management of the organic content of the soil through proper tillage, crop rotation, and manuring. 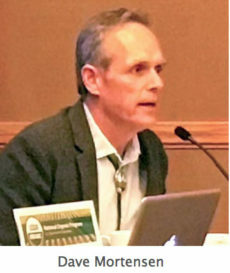 When asked by NOSB member Ashley Swaffar how no-till systems fall under “proper tillage,” Welsch replied that no-till is included in proper tillage and fosters soil fertility through the organic content of the soil. It is certainly possible to monitor the quantities of liquid fertilizers applied, to keep them below the 20% amount of total fertility for example, but the standards need to be clear and the actual source of liquid fertility inputs need to be disclosed for traceability. Nate Lewis of the industry lobbyist group, the Organic Trade Association: We need to look for consensus and compromise. We support the 2010 recommendation as well as guidelines for container production. Jason Whitcher, speaking for a distributor of container and soil grown products: Container production uses the same inputs as soil growers, therefore they should be allowed to be organic. Kristin Adams of the certifying agent MOSA supports the continued growth of organics through the allowance of aquaponic, aeroponic, hydroponic, and container hydroponic growing. David Hiltz (of Acadian Seaplants) produces products from algae: Does not want to be restricted from using brown, green, or red algae harvesting. 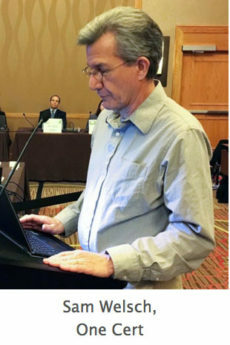 Hydroponic supporter Bill Broydrick to the NOSB: Our containers are more sustainable than soil farming, we use fewer fertilizers and less water. Brunno Da Silva Cerozi of Superior Fresh testifies that aquaponics tie the link between animals and plants for nutrient cycling. In soils, a soil solution is required between the root and the soil too. Microbes are involved in delivering the nutrients in both systems. Gail Nelson of G&G Connections: Increased shortages of organic produce are being felt in the marketplace. Hydro organic farming is an innovation in organics that can deliver the needs of the consumer. Conventional hydroponic grower Tanimura and Antle tells the NOSB that they have large acreages of conventional hydroponics ready to transition to organic if it is allowed. Wil Hemeker of the University of Akron Research Foundation testifies that all systems are biologically complex, both hydroponic container systems and soil. 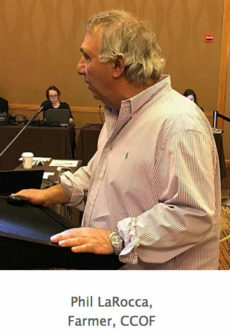 Jay Feldman, former NOSB member and executive director of Beyond Pesticides: The integrity of the organic seal is currently in jeopardy. Hydroponics: There was a previous board decision in 2010, and there is no new information. The NOP should move forward on this. Madison Monty of NOFA-VT tells the NOSB that she would like to see container standards developed more clearly before containers are allowed to be certified. In the meantime, only ground production can be certified organic in line with the EU. 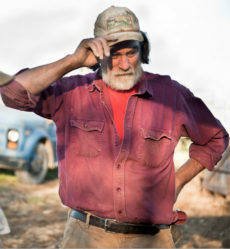 Theo Crisantes, a grower for Wholesome Harvest, a giant hydroponics producer. Crisantes says he has been certified organic for 10 years in containers filled with coco coir. Cornucopia’s Mark Kastel testifies. Our focus is on protecting the foundational ethical precepts in organics, he says. The focus was on building organic material, biological activity, and nutrients for more nutritious, flavorful food while protecting the earth. Now corporate lobbyists in this room are telling you that feeding plants, continually, with a liquid fertilizer solution, in pure water or sprayed through the air or in containers filled with mostly inert ingredients is …. “organic.” This is a gross betrayal of the organic movement. 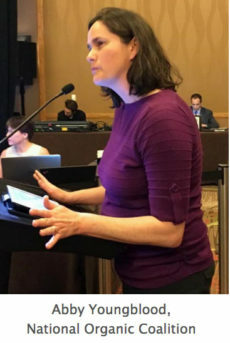 Abby Youngblood with the National Organic Coalition comments that the process of peer review is part of what gives us the confidence in the organic seal. She praised the NOSB for the passing of the organic excluded methods document and noted that we need to be vigilant to keep that updated and enforced. Hydroponics advocates, she says, have “muddied the waters” by distinguishing between container and hydroponic production, but they both rely on outside inputs. Organic is much more than the inputs. Alan Lewis of Natural Grocers says that they label organic produce in their grocery stores that is hydroponic so their consumers can choose. “Welcome to the organic minus label. If that doesn’t break your heart, what will?” He also testifies that organic is competing with other labels and organic is losing its gold standard status. Dave Chapman, a Vermont farmer, testifies: The hydroponic lobby has called us the “circular firing squad,” but the organic community is largely united with the law that organic is based on soil. 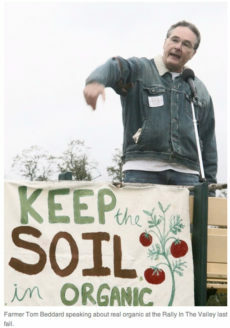 If we do not follow the law, he says, we will lose our place as the healthy soil movement, and we need that association now more than ever. The NOP was created to serve and protect, not to reinvent. You will either tear apart the organic movement or restore it. He recommends that the hydroponic/container lobby follow a similar process verified system with the USDA so that consumers can be informed of the growing practices. Lee Frankel, Coalition for Sustainable Organics, (formed of 40 hydroponic growers a year ago when the NOSB started to question whether growing in containers should be considered organic) says there is biology in their systems; therefore they are organic. When asked whether their growers’ container systems could include standards that require soil, Frankel responded that growers could throw a pinch of soil in the system, but that doesn’t necessarily indicate whether that would be a best practice.